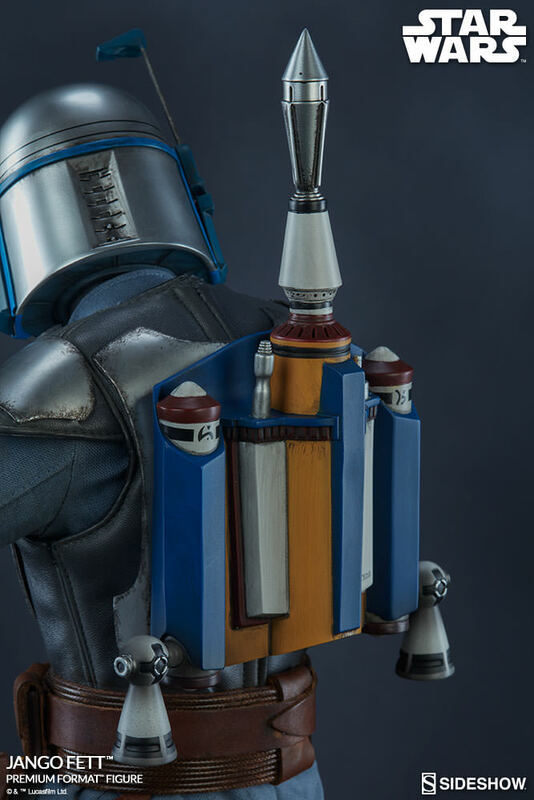 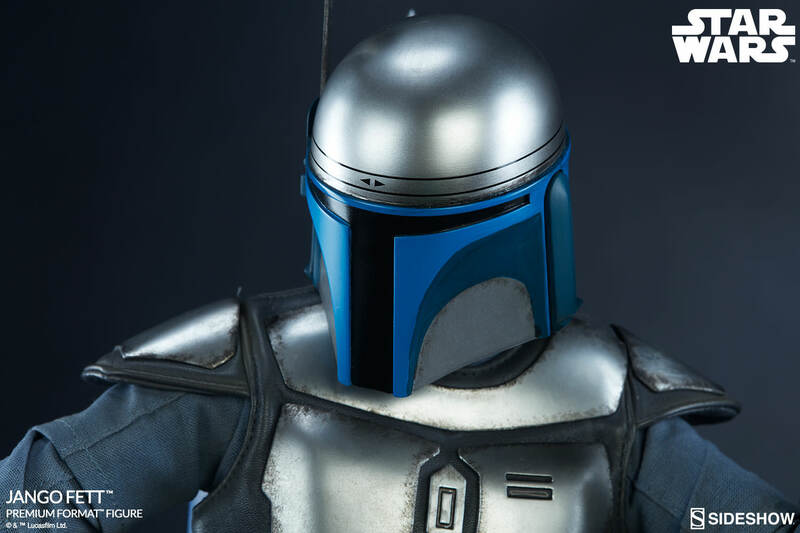 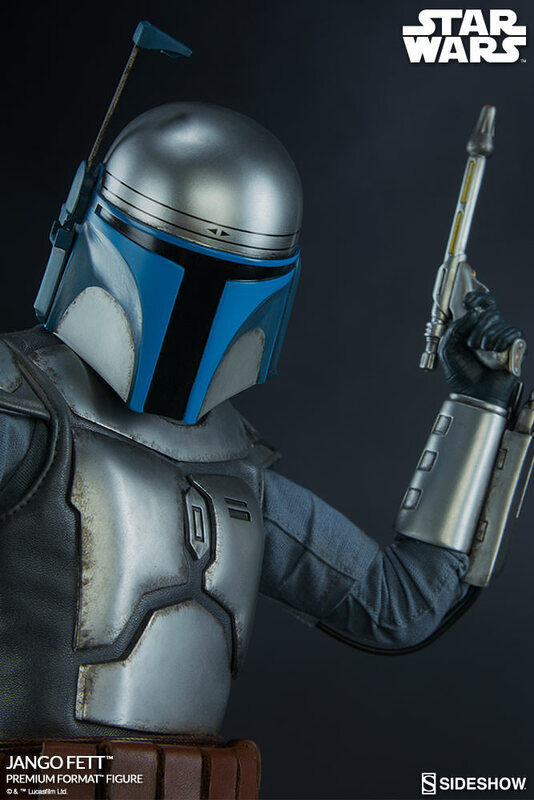 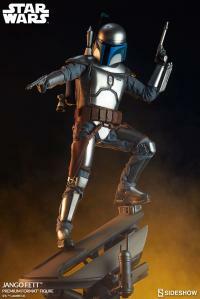 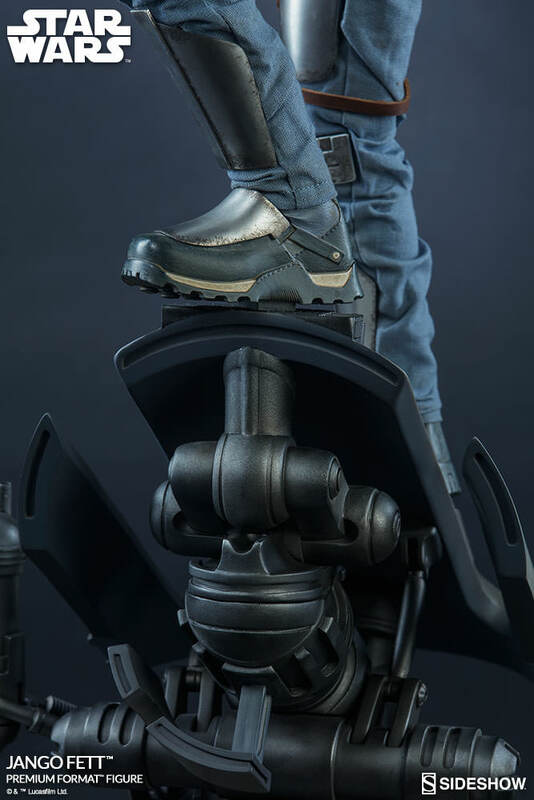 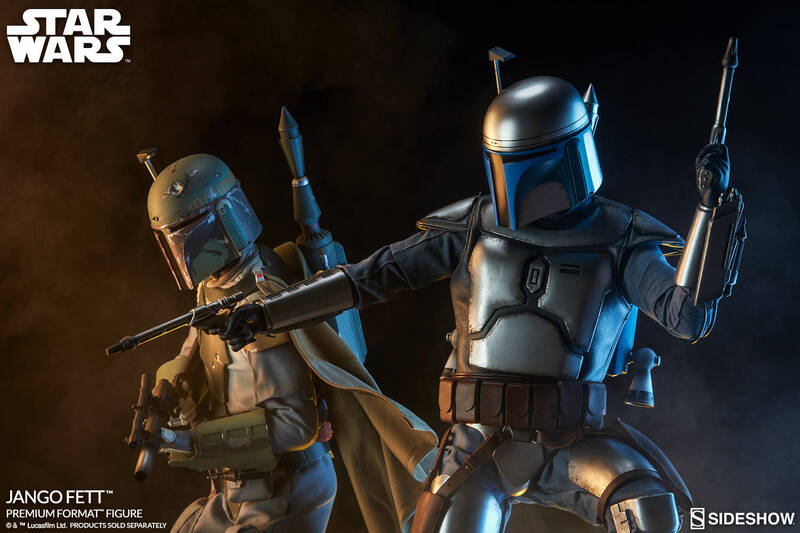 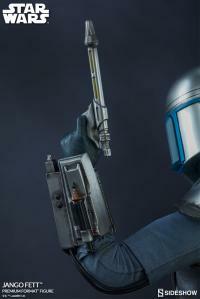 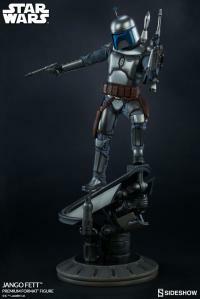 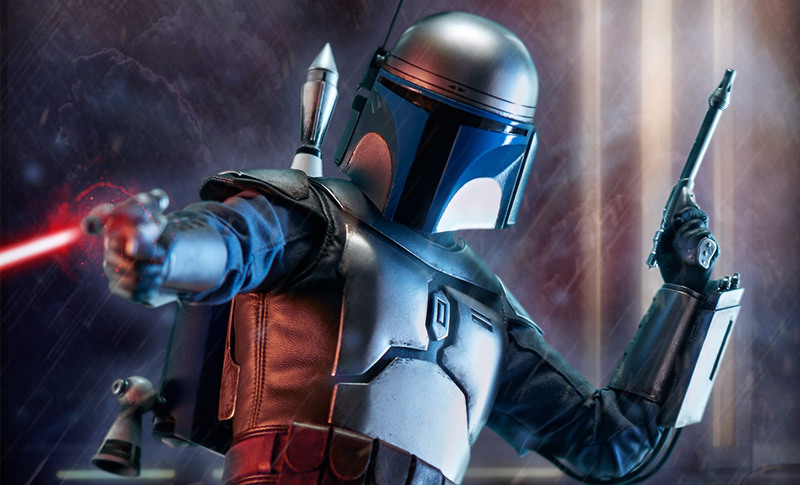 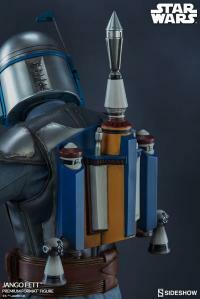 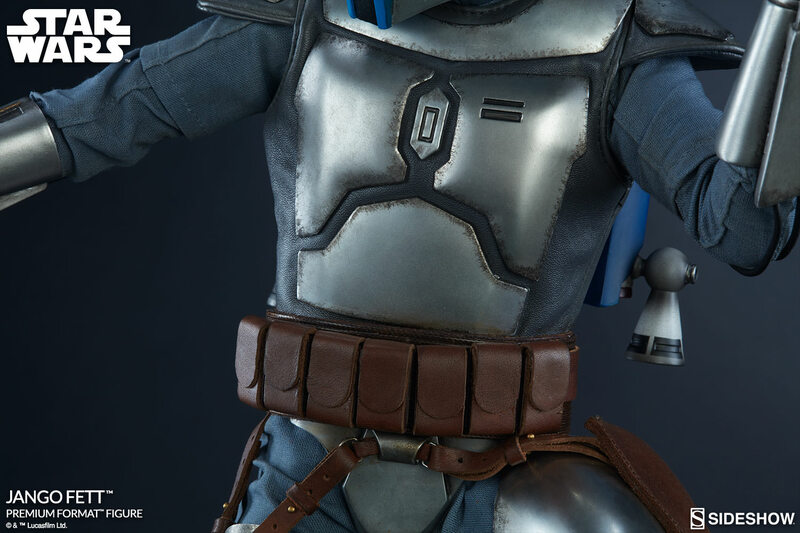 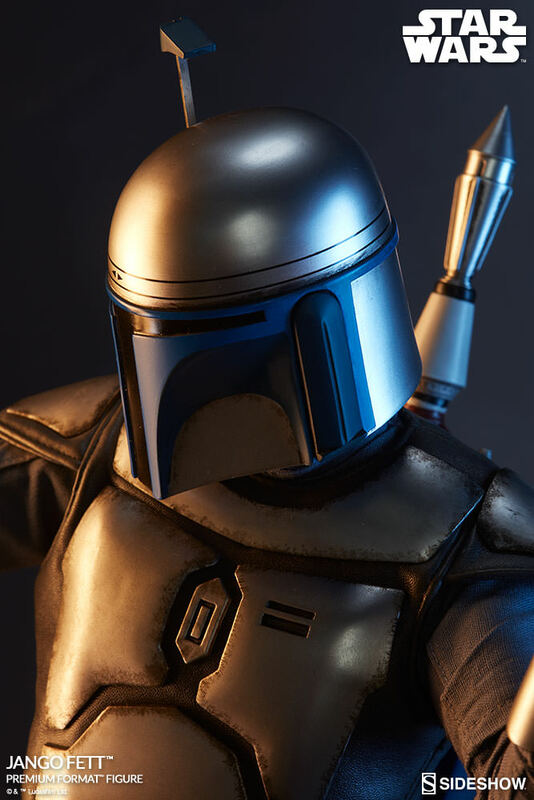 Decked in his distinctive Mandalorian armor, Sideshow’s Jango Fett Premium Format™ Figure Star Wars collectible captures the mobility and aggressiveness that is to be expected in one of the galaxy’s most capable bounty hunters. 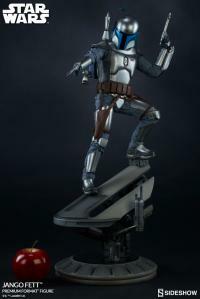 The Jango Fett Premium Format™ Figure features Mandalorian armor, the Z-6 jetpack, and he wields a pair of WESTAR-34 blasters. 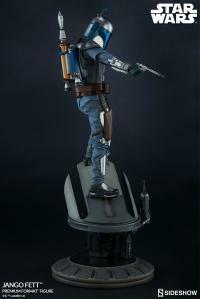 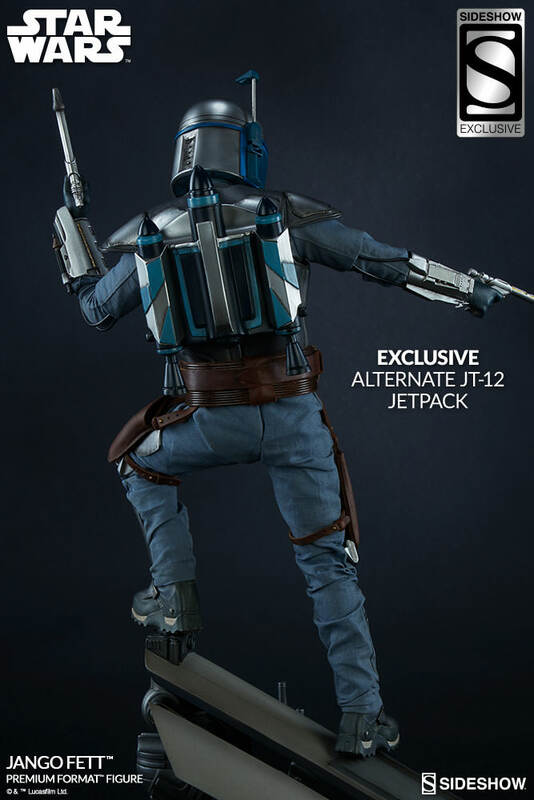 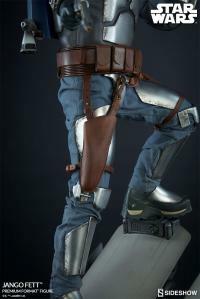 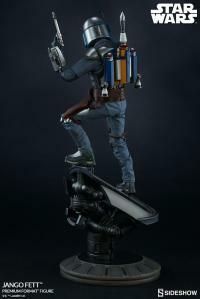 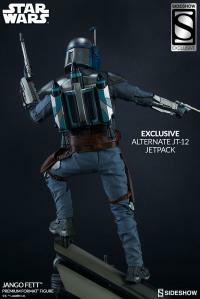 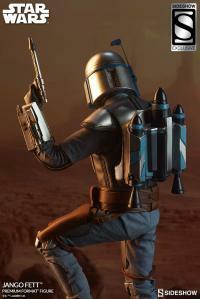 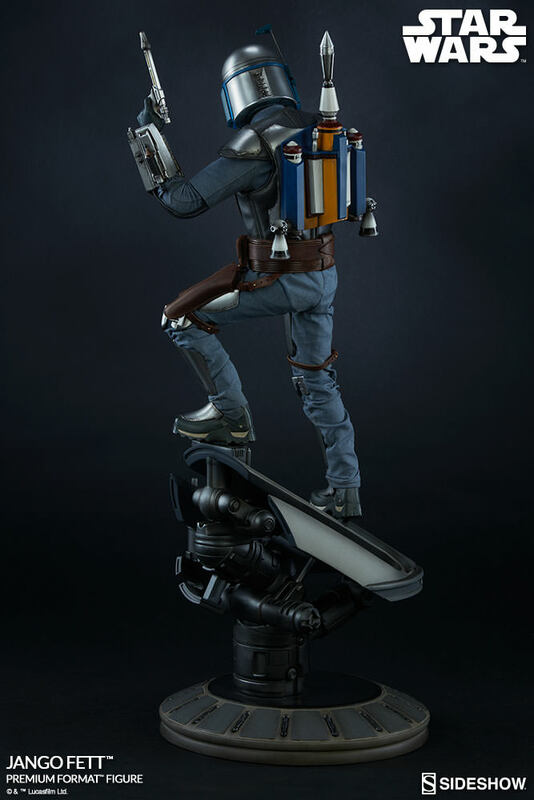 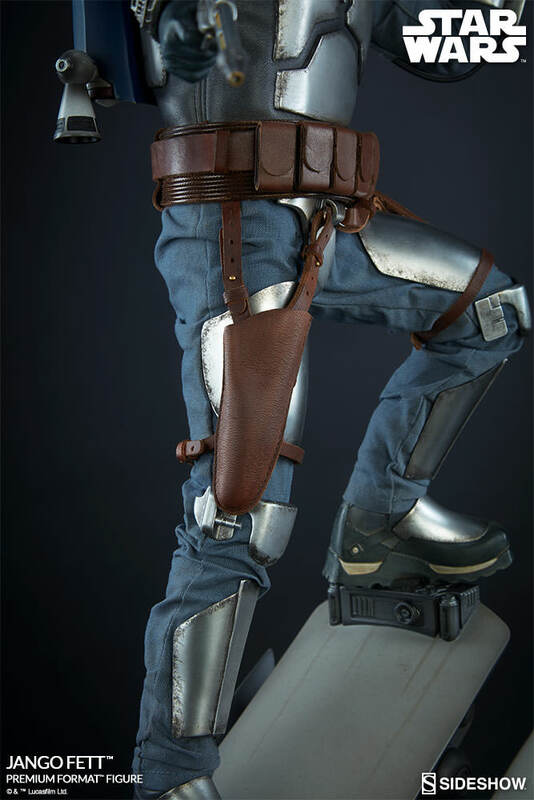 The Sideshow exclusive version includes a switchable JT-12 jetpack for more display options. 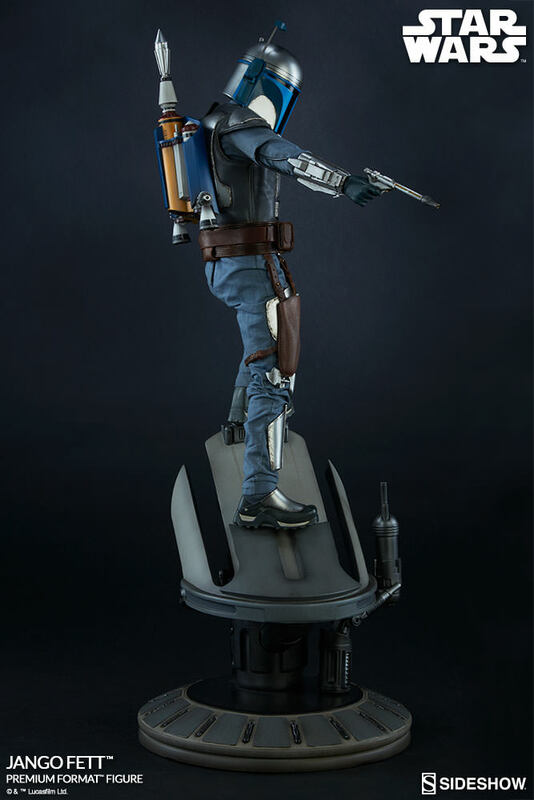 Beautiful figure. 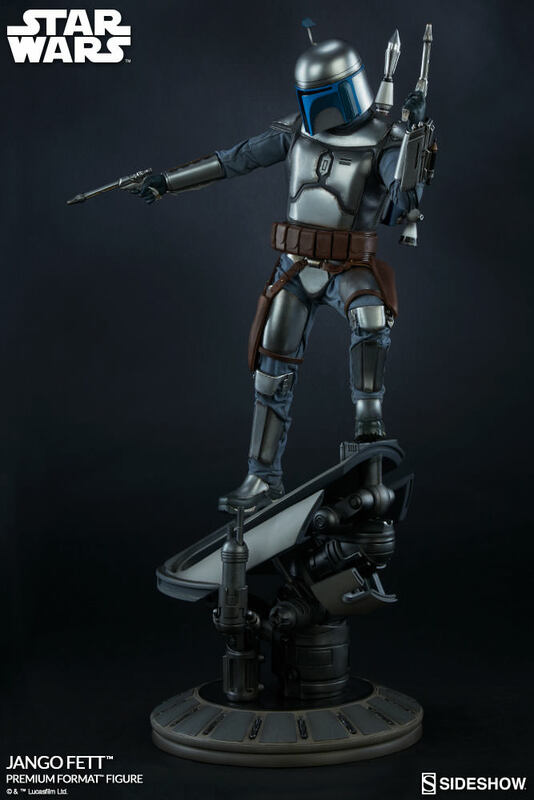 I have one of the storm troopers and would buy more if most of the premium figures weren't always climbing on stuff. 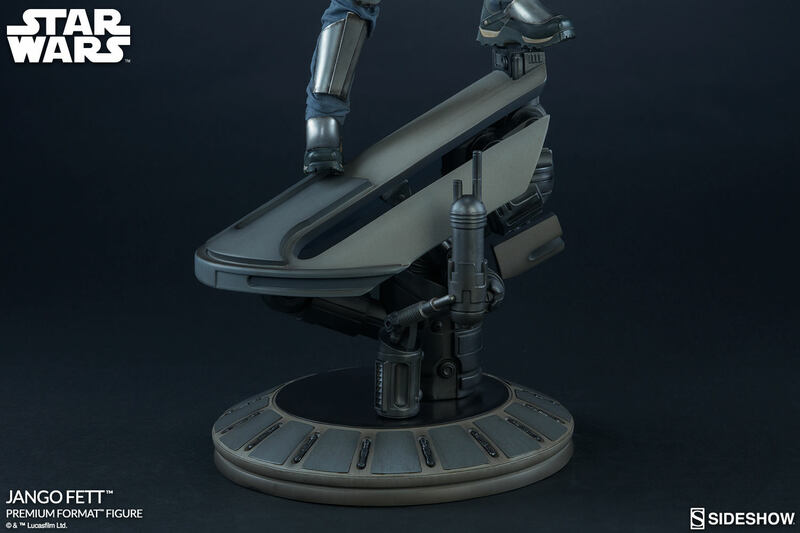 A more neutral base would make them look less toyish in my opinion. 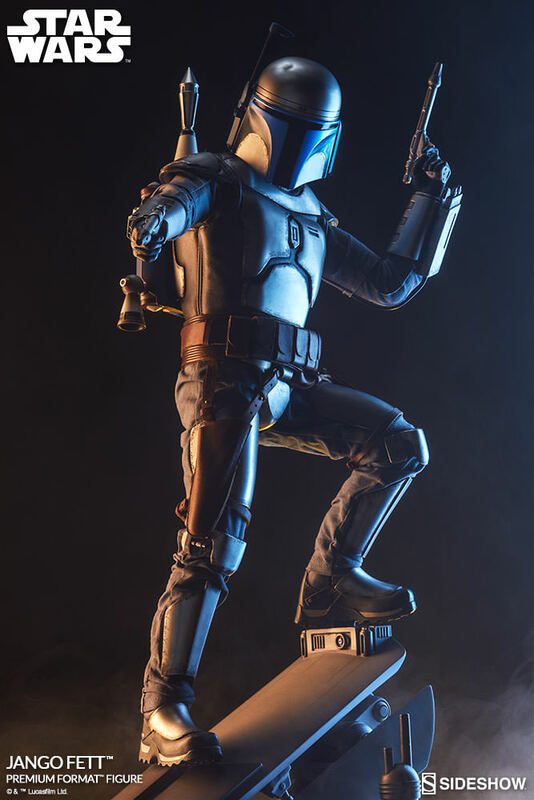 Excellent detailing with a very unique pose. 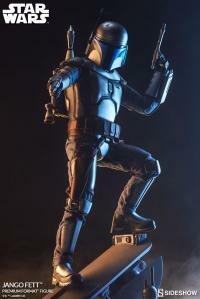 Jango looks great on my shelf and I look forward to getting a Boba to go with him. 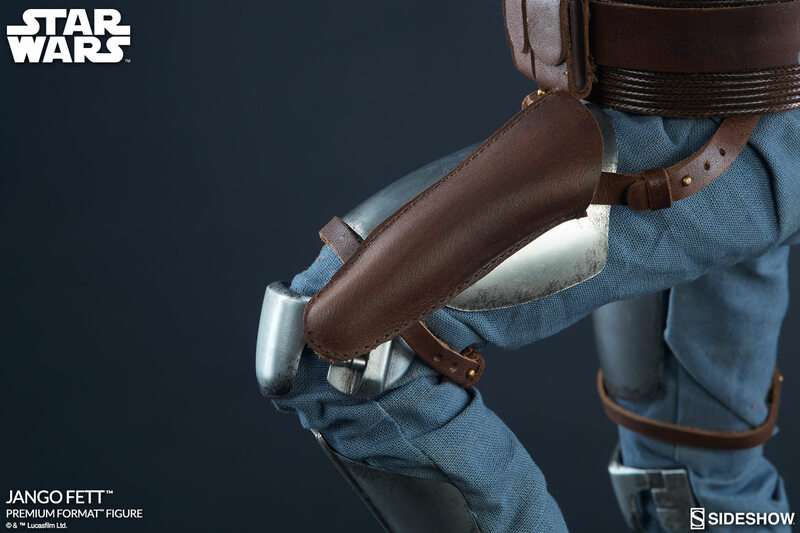 Sideshow has done it again! 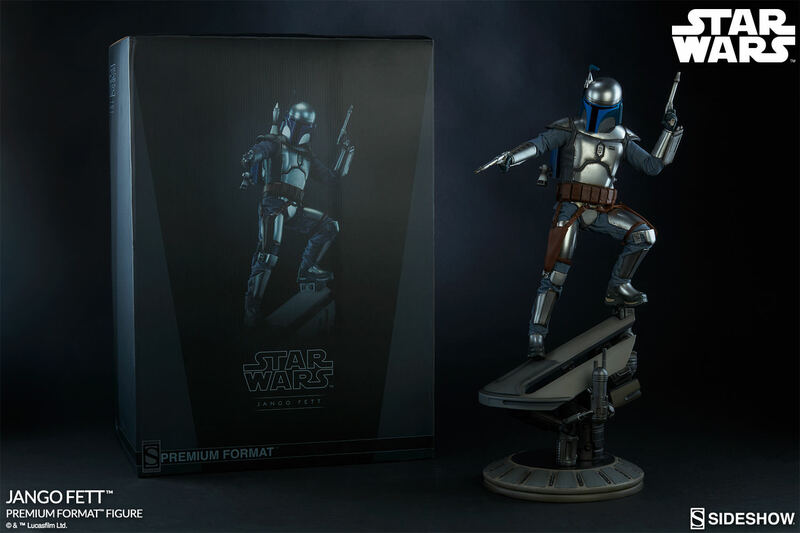 Looks amazing next to it's Boba Fett Premium Format Statue companion piece! 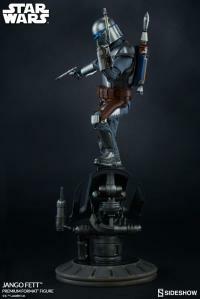 Now all I need to do is get the Scum and Villany art print framed to complete it! 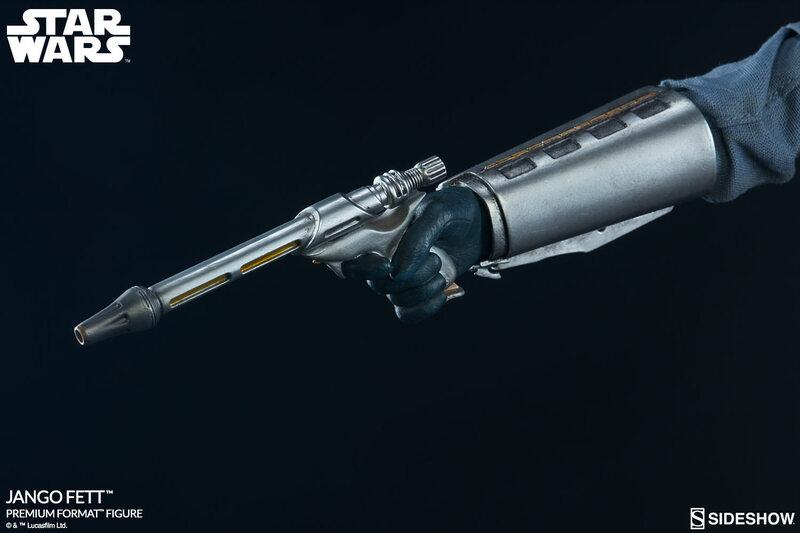 "Always a Pleasure to Meet a Jedi..."
Great collector's piece. 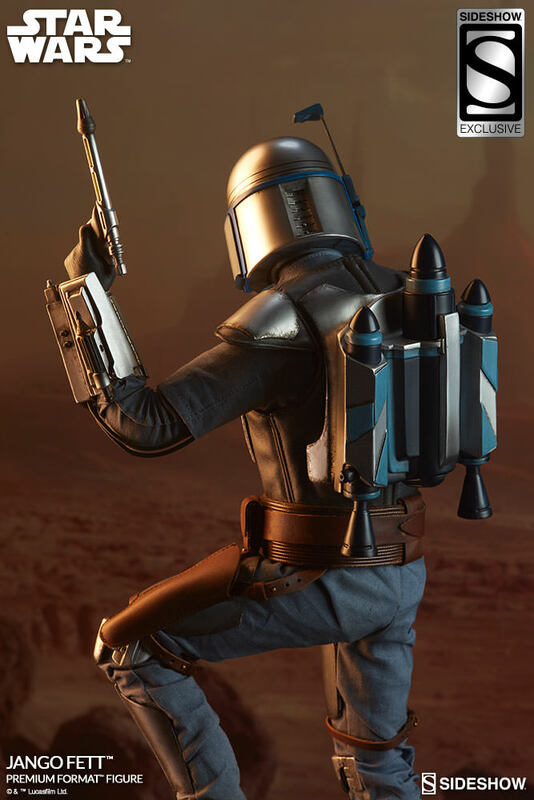 Looks fantastic next to my Boba Fett PF. 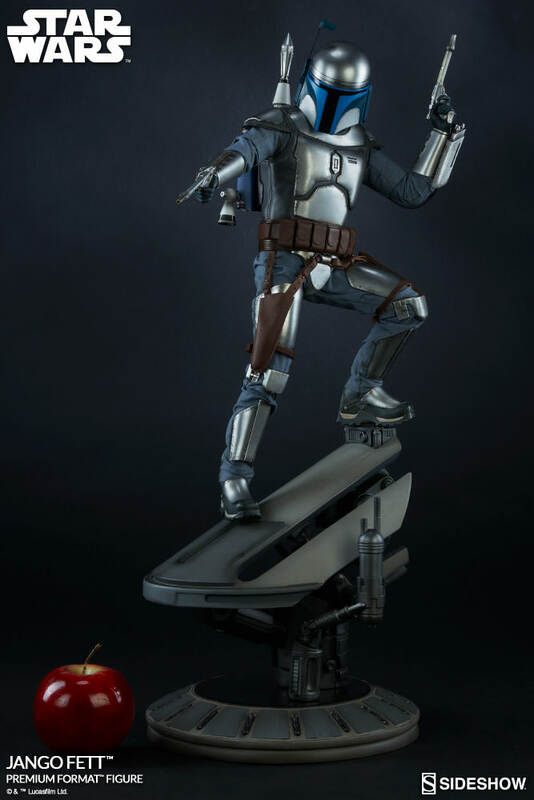 Been waiting for this one for over a year to be released and finally got it! 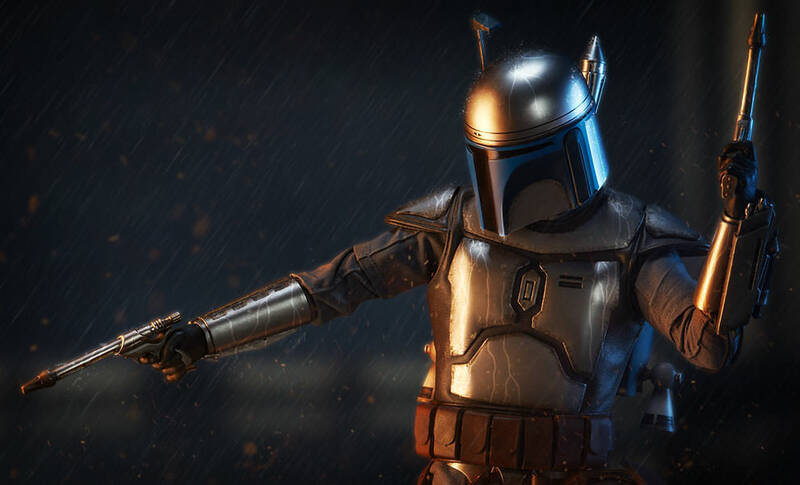 Great job SS! 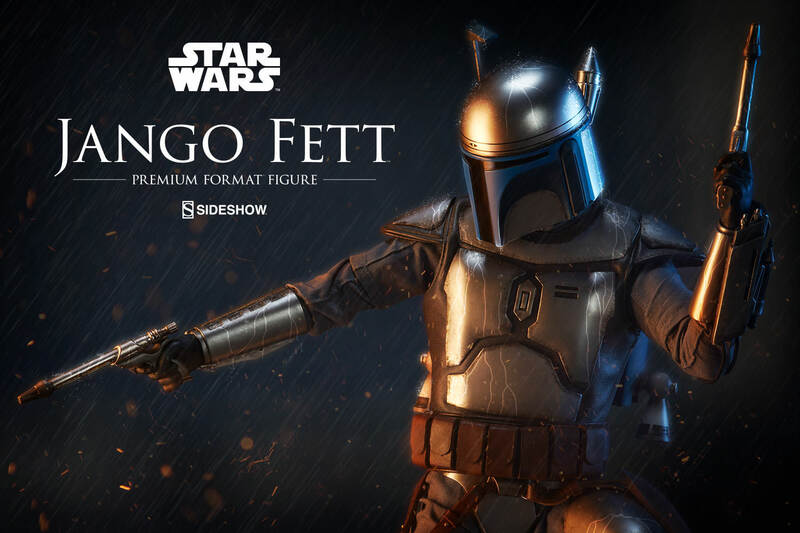 Now how about a new Anakin Skywalker PF?